There are more work injuries in the U.S. health care industry than in any other and government safety regulators are doing too little about it. That’s according to a new report by Public Citizen, a nonprofit, consumer advocacy group. “But OSHA conducts only about one-twentieth as many inspections of health care facilities as construction sites,” wrote the report’s authors, referring to the federal Occupational Safety and Health Administration. “The record in the health care arena plainly indicates that the government is failing to fulfill its obligation to provide adequate protection to workers. 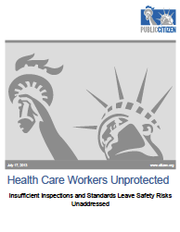 To comply with the law that authorizes its existence, OSHA needs to dramatically increase the number of inspections of health care facilities and issue binding standards to ensure that workers are protected from widely acknowledged hazards,” the report stated. According to the Kansas Department of Labor, there were more than 7,500 injury accidents reported in the Kansas health care industry in 2012, though the annual average over the past 10 years exceeds 8,300. Nursing assistants and nurses experience the most injuries. “I’ve been a bedside nurse for a long time, and there’s certainly a lot of wear and tear that goes along with it,” said Nelda Godfrey, associate dean of undergraduate studies at the University of Kansas School of Nursing. 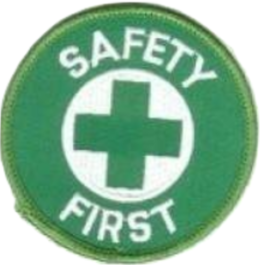 The injuries happen a number of ways, but often as a result of patient violence. As a nursing student, Godfrey recalled, an agitated patient had once punched her. “If you’re providing 24-hour care — which is what nurses do — you’re going to find yourself in these situations,” Godfrey said. But the more common injuries come from lifting or moving obese or elderly patients or others unable to move under their own power, she said. As a consequence, among the things taught to students at the KU nursing school is how to minimize the risks of ergonomic injury. “How do you lift properly? How do you deal with the increasing number of obese patients? What kinds of assistive devices do you use when moving patients?” Godfrey said, describing some of the things included in the courses. In 2011, nursing assistants ranked highest — and registered nurses ranked fifth — among all occupations for the number of cases of musculoskeletal disorders (MSDs) resulting in days away from work, according to the U.S. Bureau of Labor Statistics. 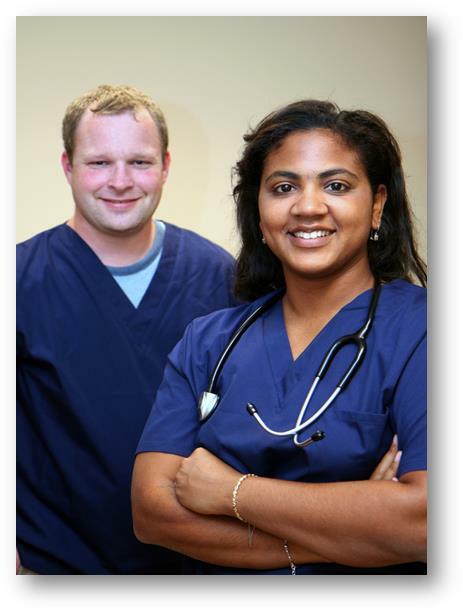 Nursing assistants reported 25,010 musculoskeletal cases; registered nurses reported 11,880. Kansas City-based expert Amy Garcia wrote a book on how to mitigate the risks of muscle and bone injuries with ergonomic workplace standards. The book cites the ANA’s 2011 health and safety survey, which found that 62 percent of registered nurses reported that suffering a debilitating job injury was among their top three concerns; 80 percent reported working despite musculoskeletal pain. OSHA Director and Assistant Secretary of Labor David Michaels has acknowledged that job hazards in the health care industry need addressing. “It is unacceptable that the workers who have dedicated their lives to caring for our loved ones when they are sick are the very same workers who face the highest risk of work-related injury and illness,” He wrote in a 2011 statement accompanying the release of data showing a rapid increase in injury rates among health care workers. But, OSHA “does not have resources to move forward on all rulemaking necessary to address all the pressing workplace health and safety hazards,” Michaels wrote on June 10 in response to questions posed by the authors of the Public Citizen report. But according to Public Citizen, OSHA has issued just seven citations for unsafe ergonomic conditions in the past two fiscal years. ”In fairness to OSHA, the adversity it faces goes well beyond a shortage of resources. The process for creating standards has become so cumbersome and subject to interference that the agency could not possibly fulfill its mandate,” they wrote. “For instance, the agency published a rule in 2000 to protect workers in all industries from ergonomic hazards, but Congress repealed the rule before it took effect. “During the first term of the Obama administration, OSHA proposed a rule that merely would have added a column to reporting logs for employers to indicate whether an injury was a musculoskeletal disorder. Even that modest step was first delayed by the administration, then blocked by Congress. The Public Citizen report stated that in recent decades OSHA rules aimed at controlling worker illnesses from blood-borne pathogens and the carcinogen ethylene oxide had helped.